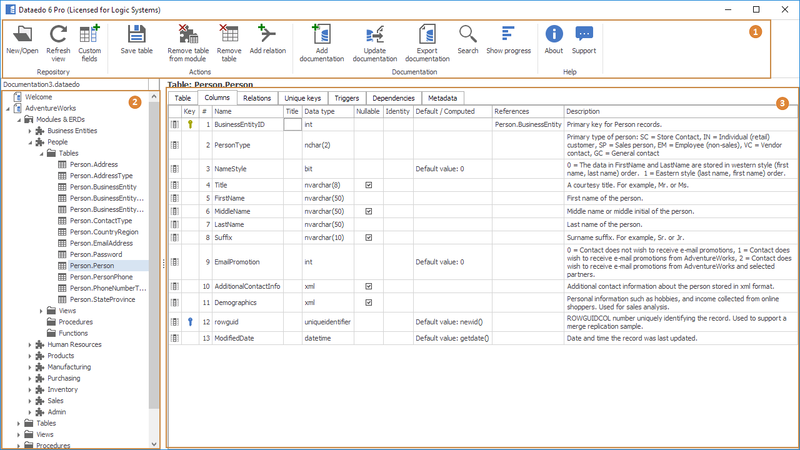 Dataedo Editor - main user interface to work with documentation. Dataedo Administration Console - separate UI to manage repository users and license keys. Upgrade/Trial - Form for requesting a trial key or entering trial/pro key. Documentation form enables you to change a title and write an introduction to your documentation. List displays modules added in a documentation. 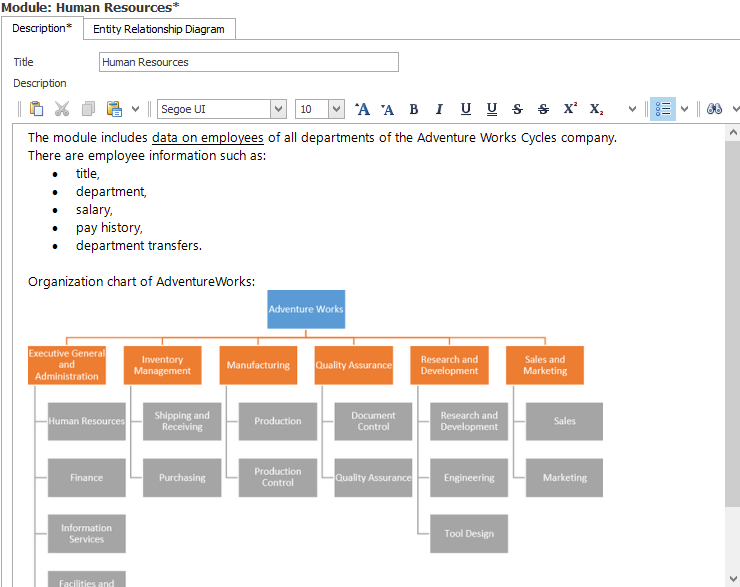 Module form enables you to describe module and create module Entity Relationship Diagram. Description tab enables you to change module title and provide description for a module (chapter in documentation). 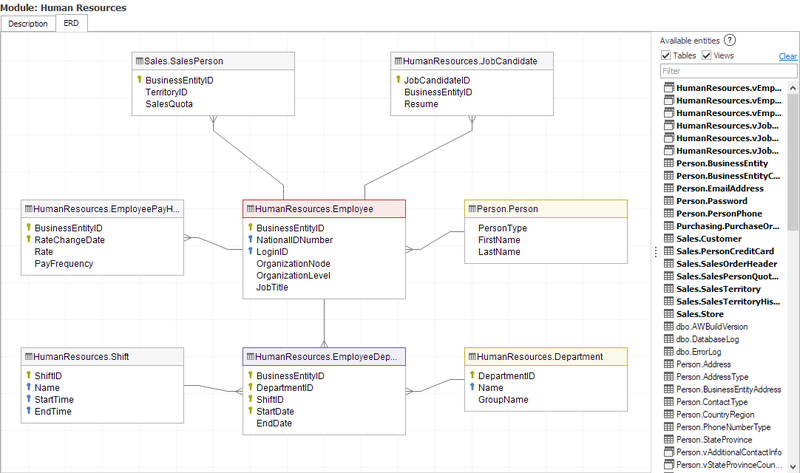 Enables you to draw Entity Relationship Diagram for a module. Table form enables you to document table. 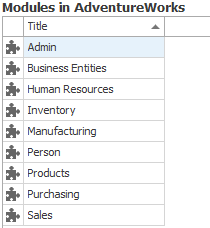 Description tab enables you to provide description of a table, assign a title and assign table to a module(s). Tab provides a view of table columns and ability to describe each. List of table relations/foreign keys. It enables describing each relation and creating user-defined relations. List of table unique and primary keys. It enables describing each key and creating user-defined relations. List of table triggers and their scripts. It enables providing a description for each trigger. DBMS last updated - date and time table was last updated in documented database. Last imported - date and time table was last imported to the repository. Last updated - date and time table was last updated in the repository (this includes imports/updates and updates of descriptions). 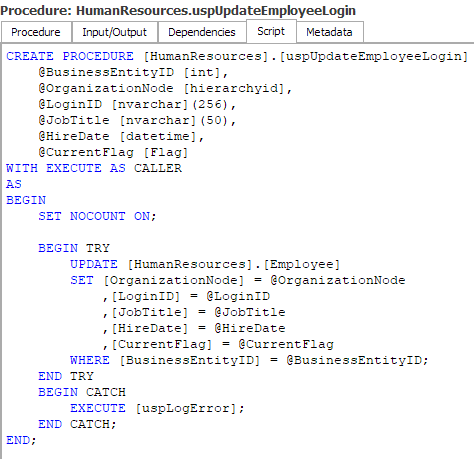 Procedure form enables you to document stored procedure. Description tab enables you to provide the description of a procedure, assign a title and assign the procedure to a module(s). It allows describing the procedure parameters. 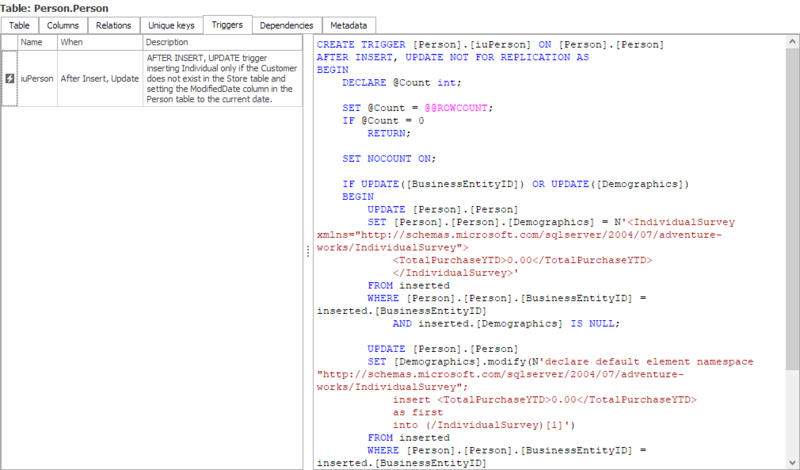 Enables preview of stored procedure script imported from a database. Function form enables you to document function. Description tab enables you to provide the description of a function, assign a title and assign the function to a module(s). It allows to describe the function parameters and returned value. Enables preview of function script imported from database. 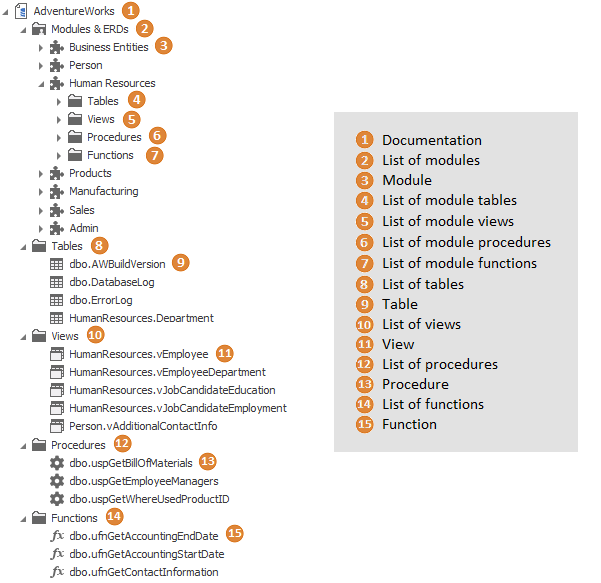 Lists all tables/views/procedures/functions in a documentation or a module. 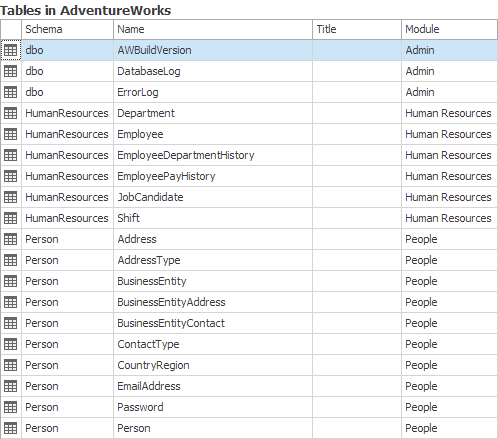 You are able to provide/edit a title for each object and assign an object to the module(s). Changes are saved right after closing editor.